ActivityCircle By Frolyc | Educational Activity Design, Interaction & Collaboration Platform For K-12 Teachers & Students. Learning activity creation, interaction, feedback and collaboration platform. Designed specifically for K-12 teachers and students. Teach, learn and demonstrate learning by creating activities. Incorporate multimedia into activity easily. and sequencing. You specify content. We do the rest. Compose quizzes with more than one answer. Review student work and submissions. Assign to students. Share & collaborate with grade level teachers. How are teachers using ActivityCircle? Emily Kissner, a 4th Grade teacher, uses ActivityCircle to teach concepts around expository text structure. Click here to read about how you can address 21st century learning by bringing together multi-media content, critical thinking skills and Common Core Standards. Donna Miller, a library teacher, uses ActivityCircle for reviewing important concepts from a book that her students read. 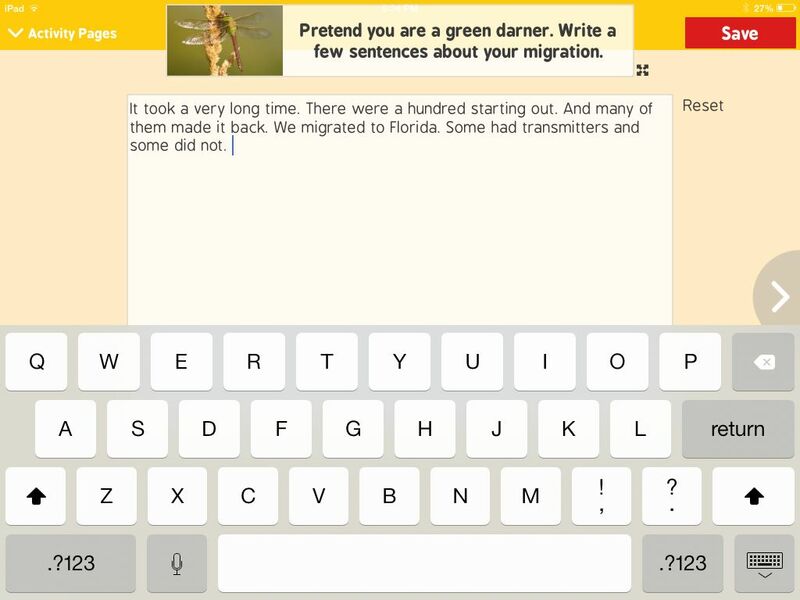 Donna says "I use the app as an assessment tool in my classroom. I am a library teacher, and I think it is a great tool for reviewing important concepts from a story." Melissa Vandermolen, a technology teacher, uses ActivityCircle for small group instruction and for personalizing high interest content to motivate students. Click here to read about how Melissa designed a simple vocabulary activity in a few minutes to address a Common Core Standard. Create activities easily using the powerful authoring tool designed using curriculum-based activity types. 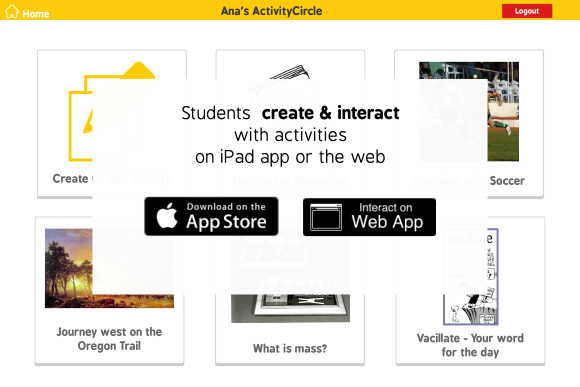 Publish your activity instantly to ActivityCircle student app - for the iPad & the web. 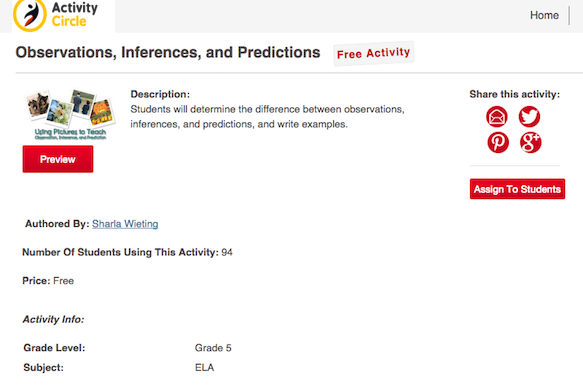 Differentiate & assign activities based on your learning criteria. Let your students interact with activities at their own pace. 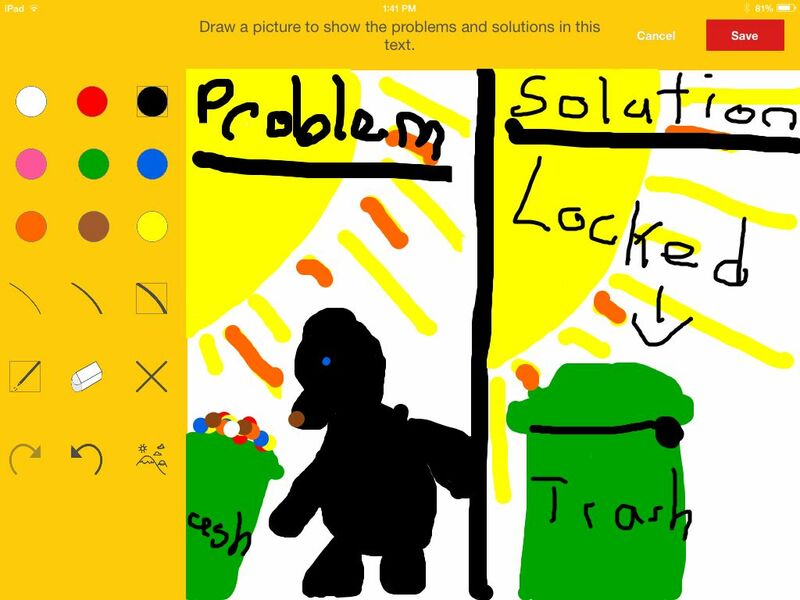 Use the app individually, in learning stations, in groups or assign as homework. 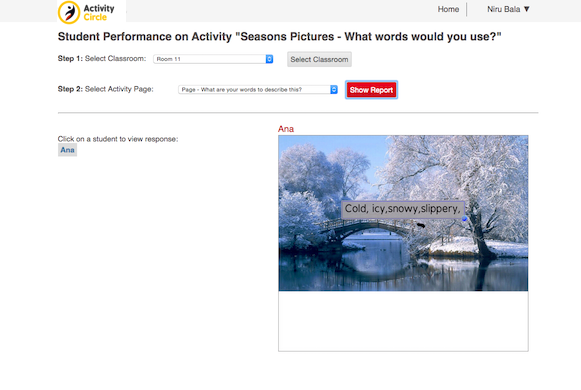 View detailed student responses & reports in real-time. Share your creations via the Activity Catalog. Use others' creations. Build on shared experiences. Become a seller. Earn when others use your premium activities. Extend your teaching expertise beyond your classroom and grow professionally. Learn more. "My students love the topics of the articles. They like the differentiation of videos and audio text. I find being able to select the students who can view which article is crucial." 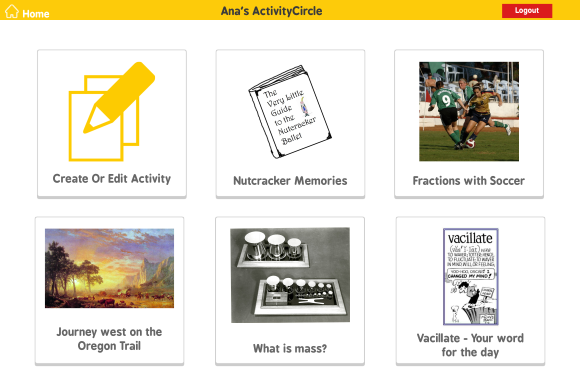 "I am enjoying using ActivityCircle and my students are engaged - which is big." "I am loving ActivityCircle website and app." " I enjoyed how easy it was to navigate through and create an activity. I love how they can be individually managed to students." Explore ActivityCircle. Use it in your classroom and see how it works.